Aussie Natural > Blog > How Do You Clean a Benchtop Water Cooler? A benchtop water cooler is a fantastic addition to any home or business. 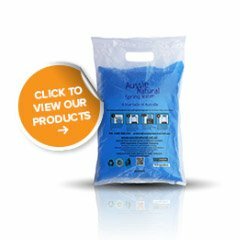 It makes providing clean and clear water effortless for your employees and clients. However, like any piece of equipment, a water cooler needs to be maintained to ensure that it works well. Any moist environment can be hampered by unwanted contaminants, such as bacteria, viruses, germs, and mould, if it isn’t sanitised regularly. For this reason, it’s recommended that the water cooler is cleaned regularly to keep the water clean and refreshing. Let’s take a closer look at how a water cooler is cleaned. Typically, a water cooler should be sanitised every six months at the minimum. Ideally, it would be better to clean the water cooler every three months to ensure that the environment is as clean as possible. There is no downside to cleaning the cooler more often, and there should be an easily remembered date for cleaning. If you have your cooler located in a sunny area, this can encourage mould growth in the water. If this is the case, it may be a good idea to relocate the cooler or cover the water bottle with a cover. This will prevent the UV light from coming into contact with the water and inhibit the growth of mould. Wait till the water bottle is empty, remove it from the cooler and then unplug it. Take off the lid and the baffle (this is a blue or white plastic funnel) from the water reservoir. Prepare 2 litres of clean hot water and add a cup of vinegar or alternatively use a sterilisation product such as “Milton”. Clean the inside of the reservoir using a soft, clean cloth and the hot water. Drain away all the excess water in the water cooler taps, remove them if possible and wash them in detergent. Rinse the water reservoir at least four times with clean water to remove any remaining traces of vinegar or Milton. Put the lid and baffle back on, fit a new water bottle onto the cooler and plug the unit back in. Finally, always check the manufacturer’s guidelines before you start to clean the cooler. If the cooler has a cold and hot water tank, make sure that no cleaning products get into the hot tank as it can self sanitise with its heat setting. Always ensure that any seals and rubber stoppers are in place to avoid water leaks. 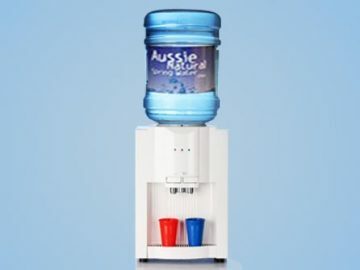 If you’re looking for a benchtop water cooler, contact us here at Aussie Natural. We supply a wide selection of high quality water related products, including a benchtop water cooler. 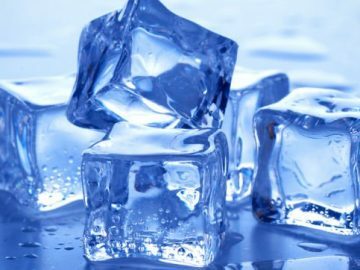 Hot and cold delicious water can be provided for drinking and making your favourite beverages. All of our rental equipment is regularly serviced, and any issues can be easily dealt with by our technicians. Our sales team members are standing by to discuss your needs in further detail, and they can answer any other questions that you may have. Every business already has access to water in some form. This could be bottles of water in the breakroom fridge or a tap in a kitchen. However, many businesses don’t even provide this level of water access, and employees have to go elsewhere to get a drink. How much time is wasted every day because an employee has to leave their work area to visit a vending machine or a shop to get a drink? This all costs the business time and money that could otherwise be used more productively. 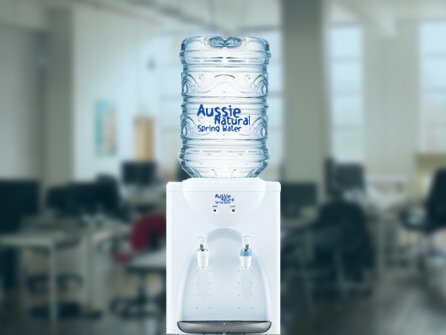 Installing a benchtop water cooler can reduce the amount of lost time and increase productivity by keeping the workforce hydrated.